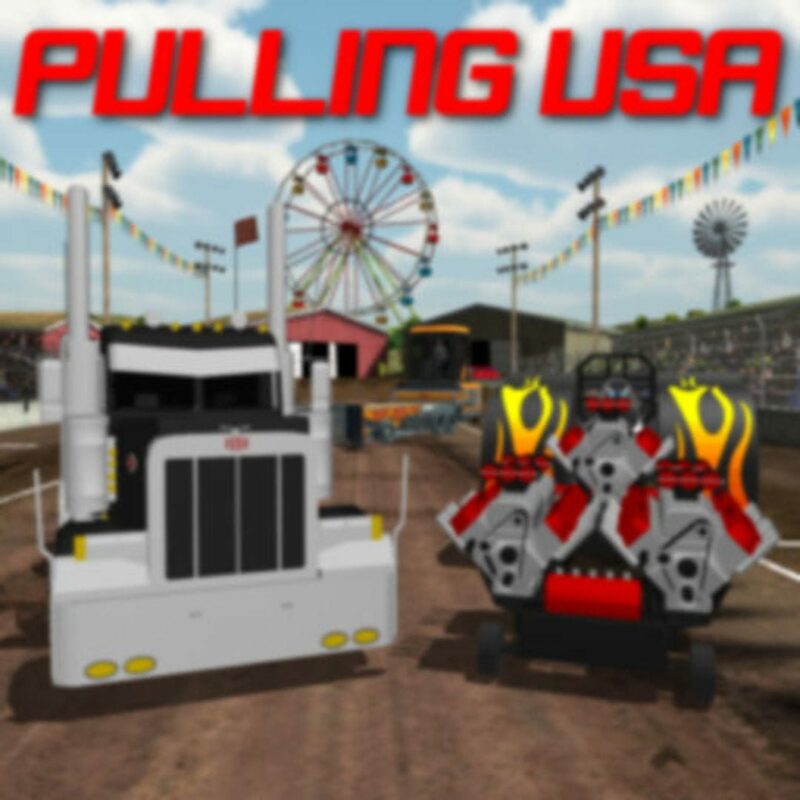 Pulling USA is the latest truck pulling and tractor pulling simulation game in a full 3D environment. With over 30 trucks and tractors and 11 vehicle classes, the pulling never ends. Upgrade your vehicle's engine, supercharger/turbocharger, fuel system and more at the garage. Adjust the weights and tire pressure to accommodate the range of track conditions. Pull at the county fair in different day and night environments or in the indoor grand arena. Work your way up through the different competitions: county, state, regional, national, and grand national; earning money and points for winning. With this truck pulling and tractor pulling simulator, you will need to control the throttle and clutch perfectly to get your arena shaking machine down the track. Build your RPM, engine temp, boost and take off down the track with realistic dirt and smoke effects. Enjoy a multitude of camera angles, and tilt your device to steer in-bounds. Watch out for blown engines and broken axles! With Pulling USA, you'll have hours and hours of dirt-flinging fun! PS: Don't forget your ear plugs!! To start playing, buy a work stock truck, super farm tractor, or garden tractor and work your way up, earning more money to buy the better vehicles. No in app purchases are necessary to play this game.